Add a contemporary look to your office, spa, restaurant, financial, healthcare, or professional environment. Available in several elegant, contemporary colors to suit any style or décor. 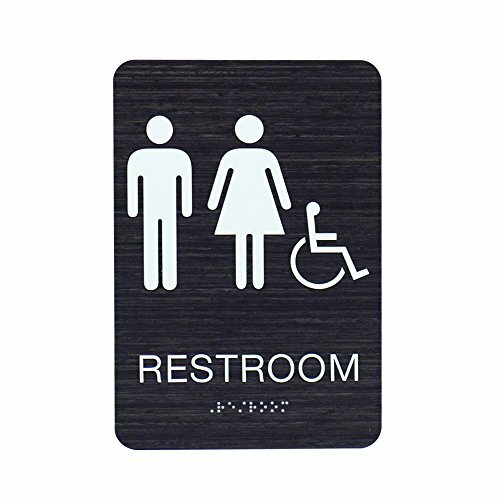 ADA-compliant signs are essential to identify permanent rooms, spaces, or areas within a building. Our signs are constructed from a durable 1/16" acrylic in a choice of high-contrast colors, featuring 1/32" raised tactile text/pictograms, grade 2 raster bead Braille, and VHB (very high bond) tape for mounting. All of our products are proudly manufactured and assembled in the USA. Complies with the American Disability Act (ADA). If you have any questions about this product by Custom Product Solutions, contact us by completing and submitting the form below. If you are looking for a specif part number, please include it with your message.